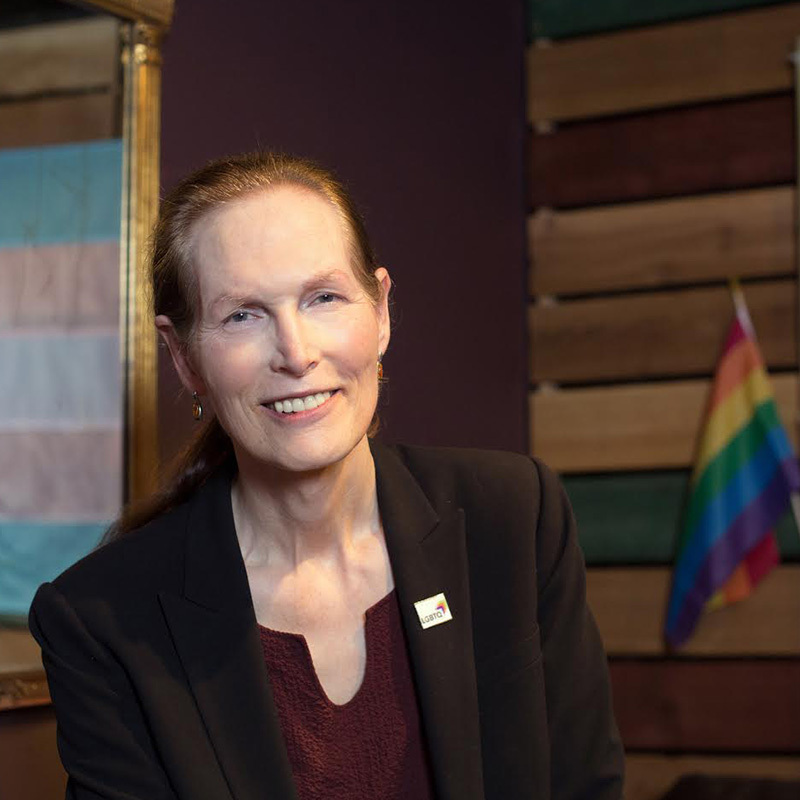 Marsha Botzer has served the Lesbian, Gay, Bisexual, Transgender and progressive communities for over 40 years, as a founding member of Equality Washington, and on boards of Pride Foundation, Safe Schools, Lambert House, Seattle Counseling Service and the World Professional Association for Transgender Health. A founding member of Equal Rights Washington, a past co-chair of Seattle’s LBGT Commission, Marsha served as co-chair of The National LGBTQ Task Force in 2005-6, 2009-10, and as Chair of the Action Fund in 2015. She is a founding member of Out In Front Leadership Project, founded Seattle’s internationally known Ingersoll Gender Center, and served as a national co-chair of the 2008 Obama Pride Campaign. In 2009 she served on the Leadership Committee of Equality Across America. In 2011 Marsha received the Jose Julio Sarria Civil Rights Award and the Washington State GLBT Bar Association Award. In 2013 she was selected for the Inaugural U.S. Edition of the Trans 100 List, and in 2014 she received the Gay City Health Community Leadership Award. In 2015 Marsha was elected to the Martin Luther King County Labor Council. Also in 2015 she received the Distinguished Scholar Award from Antioch University in Seattle and the Backbone Award from the National Secular Students Alliance. In 2016 Marsha received the William O. Douglass Award from the American Civil Liberties Union of Washington. Marsha is a member of the American Atheists Board of Directors.